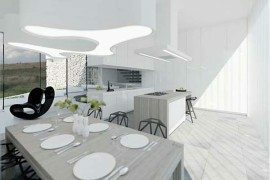 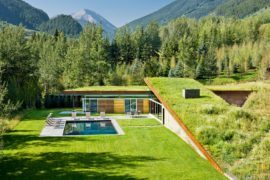 There are times when it is the home design that makes it truly special and then there are occasions when it is the backdrop and the landscape that make it remarkable. 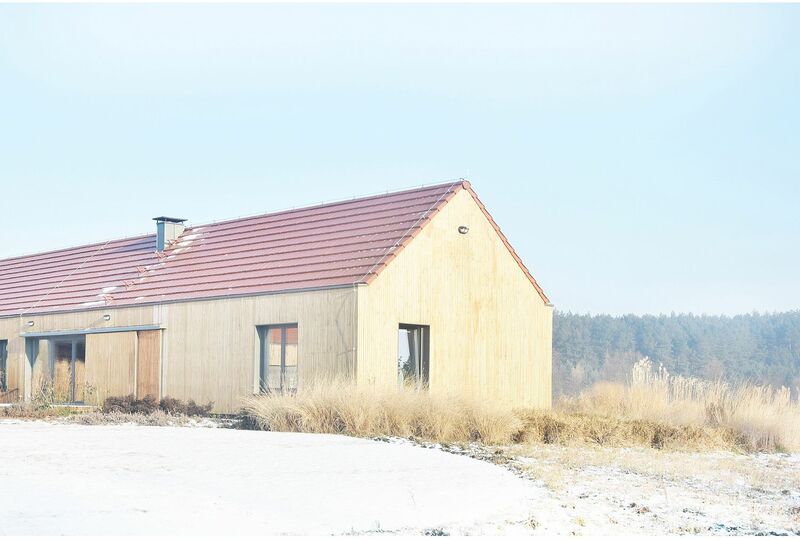 HOUSE 01 in Nowa Górka designed by GAB, Poland falls into the latter category with stunning woods creating an envelope of green around it. 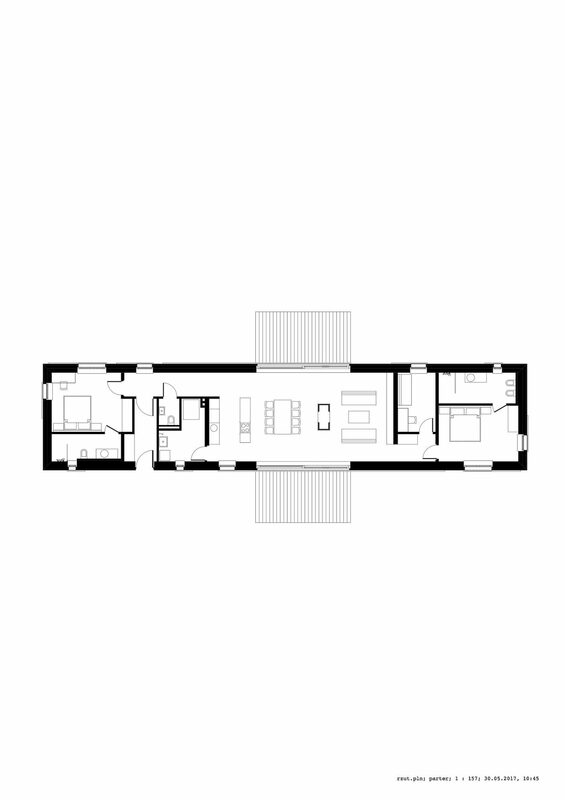 Set on a spacious lot, the house takes inspiration from the more rustic homes in the region when it comes to the layout. 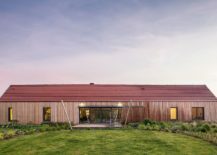 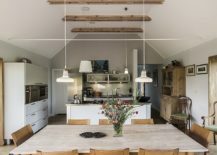 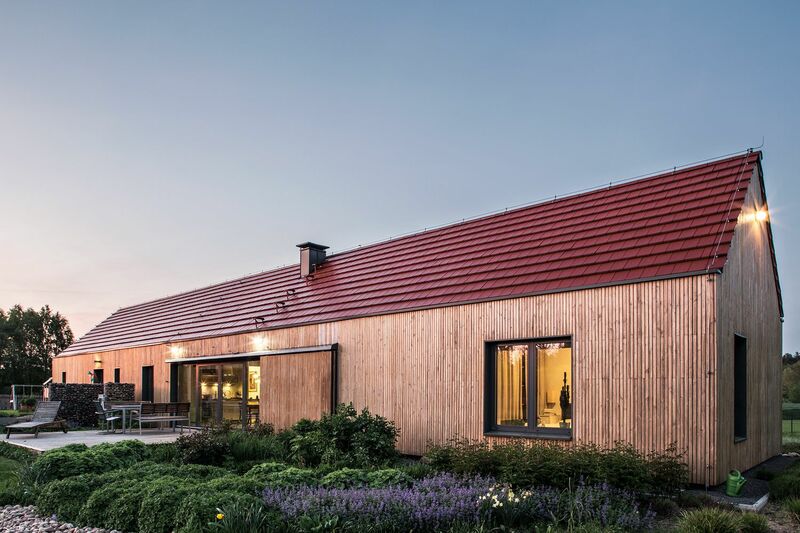 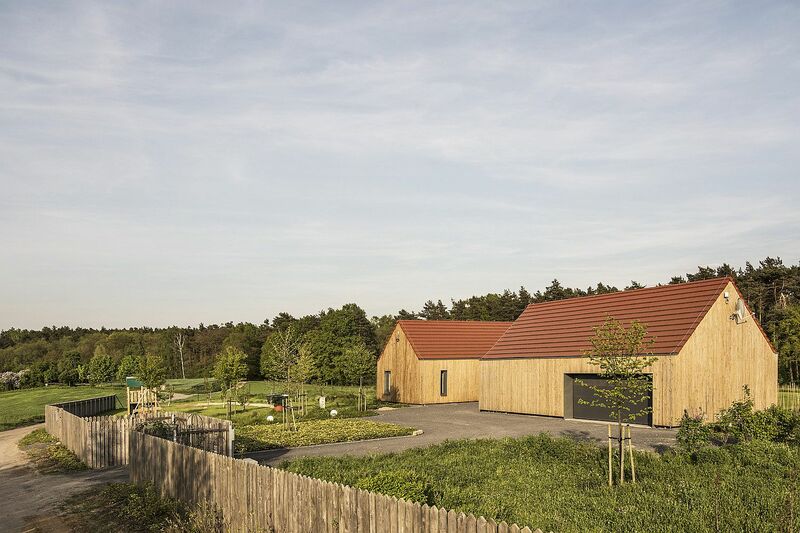 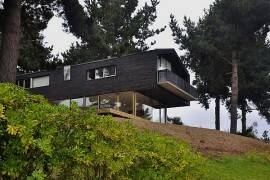 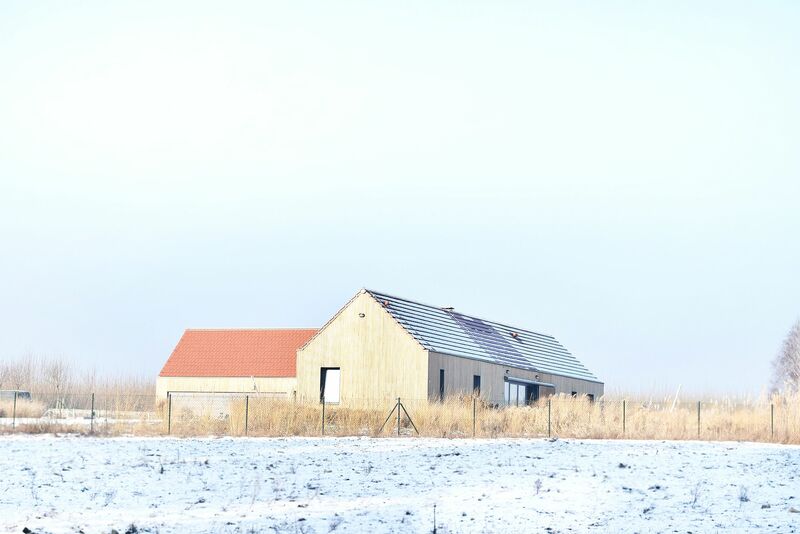 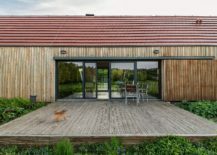 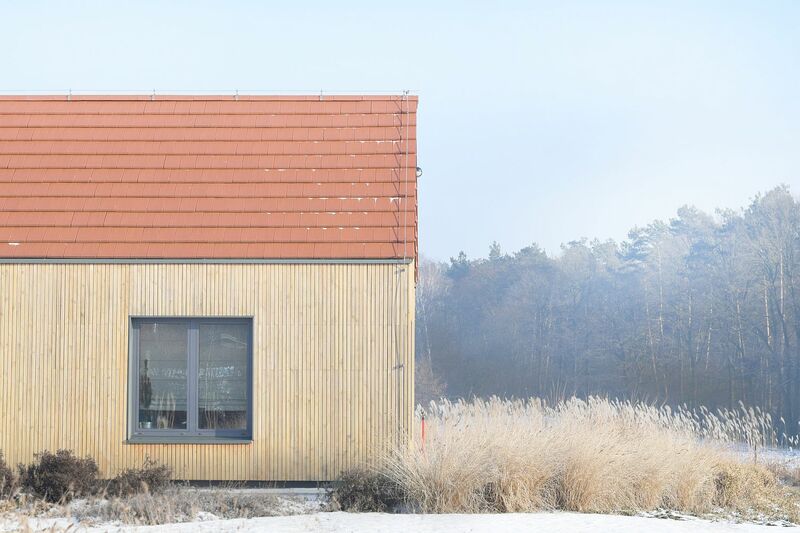 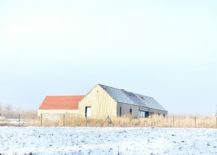 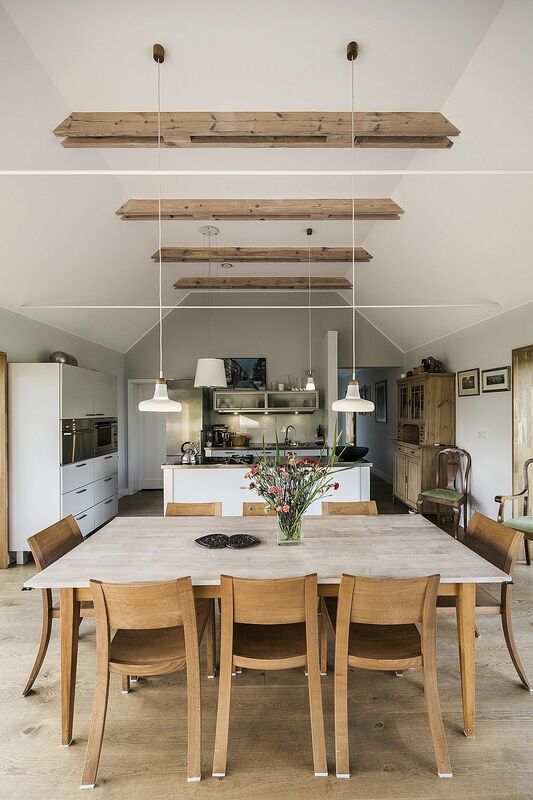 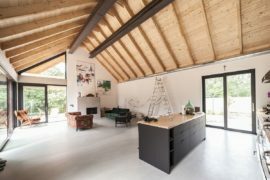 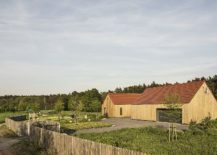 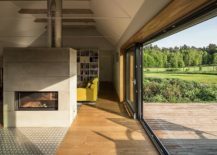 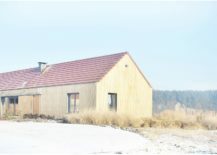 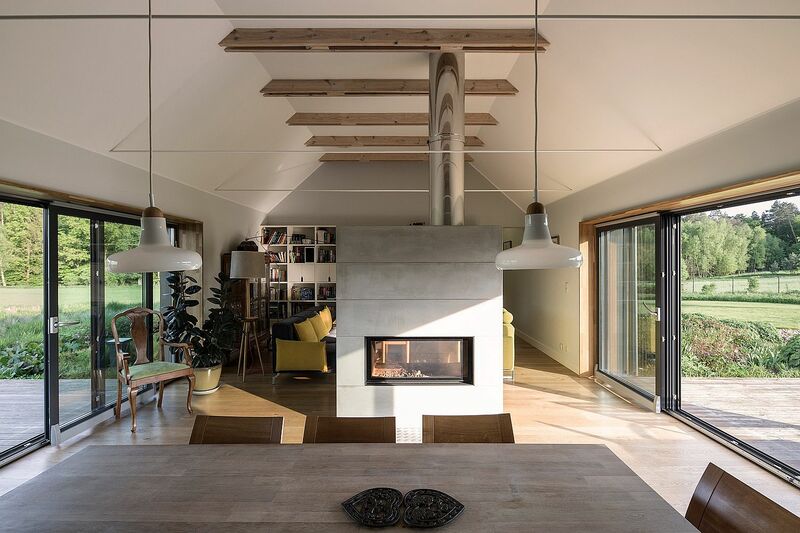 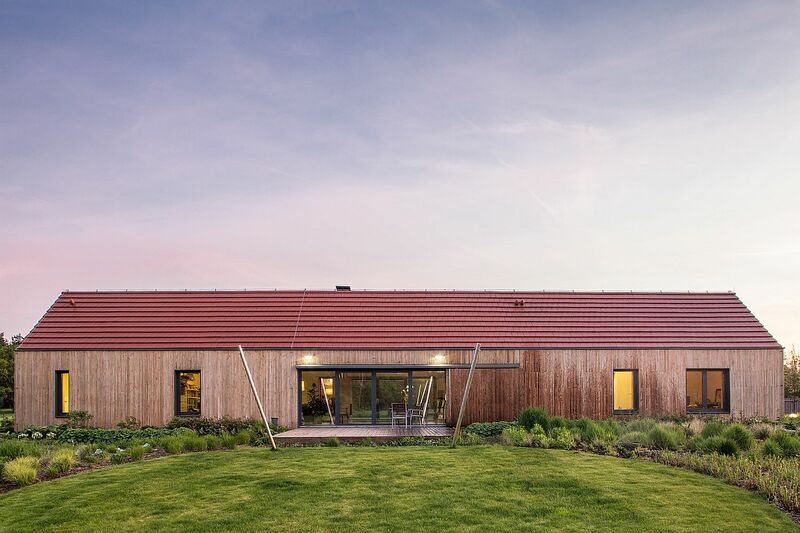 A garage sits next to the main house and both the units are placed carefully to create passive heating and cooling without relying too much on artificial sources of heating. 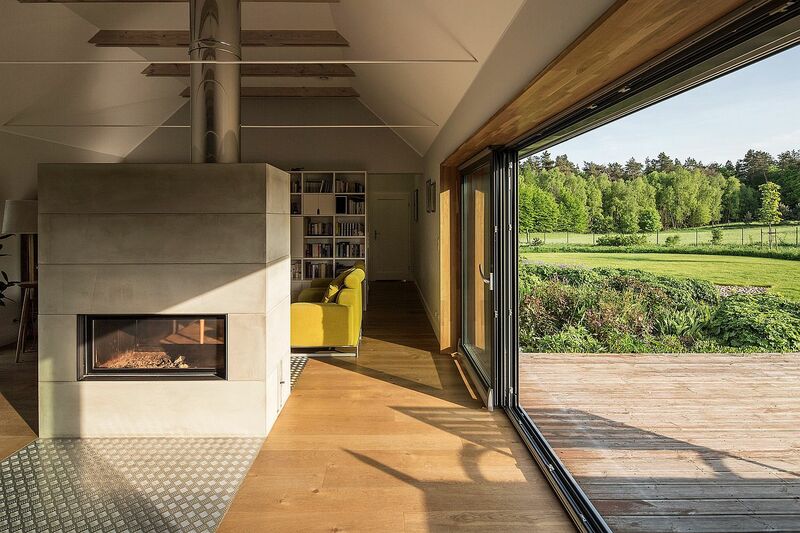 Two decks flanking the home offer something different with one basking in sunlight while other set in the shade. 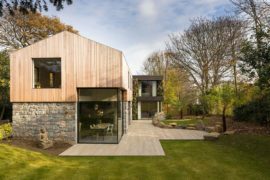 The one-story house was designed to ensure mobility of the older homeowners is not hampered even as a large living area with kitchen and dining sits at the heart of the budget-friendly residence. 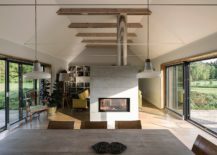 A concrete fireplace delineates the living area from the kitchen and dining with the bedrooms neatly tucked away in the rear.